To some, the vampire craze succeeding the pinnacle of series in popular culture like Twilight and The Vampire Diaries has all but vanished. For others, the allure of vampiric tales stems from historical literature and remains a timeless fascination. Take two professors of Kutztown University’s English Department as an example of the latter. Spearheaded by Drs. 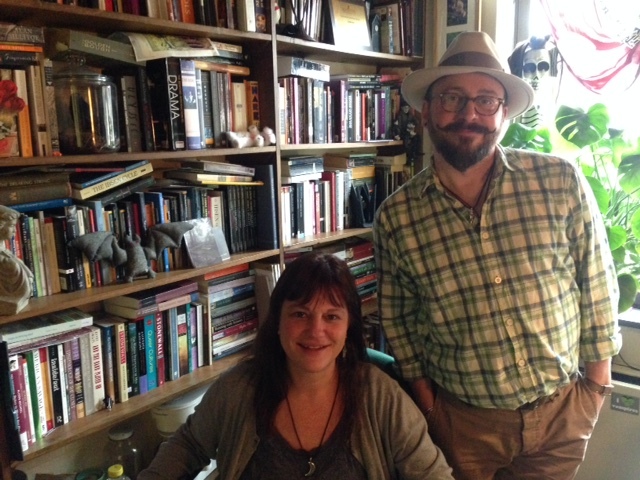 Anne DeLong and Curtis Herr, Kutztown University acquired the Journal of Dracula Studies in 2015 from the Canadian chapter of the Transylvania Society of Dracula, of which a Professor Emerita of Canada’s Memorial University in Newfoundland, Dr. Elizabeth Miller, was President and former Managing Editor. According to Dr. DeLong, the TSD is an international, non-profit organization dedicated to the study of both Count Dracula of fiction and Vlad (Tepes) Dracula of history. Dr. Miller began publishing the Journal of Dracula Studies in 1999. Under her direction, the annual, peer-reviewed academic journal expanded to an internationally anthologized publication featuring scholarly articles about Bram Stoker, Dracula and other vampire mythology in folklore, fiction and popular culture. “We have now published papers on Stoker’s novel, on Dracula and various other vampires on film and in recent contemporary manifestations of this remarkably adaptable figure, like Twilight and True Blood,” said Dr. DeLong. In 2016, Dr. Miller retired as Managing Editor of the journal; the Canadian chapter of the TSD dissolved. Nevertheless, a North American Chapter emerged at Kutztown University headed by Dr. DeLong herself, who has recently been appointed President. Still today, Drs. Herr and DeLong are perpetuating the Journal of Dracula Studies as a growing, internationally inclusive publication with articles examining “the relevance of the vampire as a literary figure,” according to Dr. Delong. She said, “I thoroughly enjoy reading these submissions from vampire scholars all over the world, writing about diverse literary, historical and cultural issues.” She and Dr. Herr have begun to see more submissions spotlighting vampires in popular culture, including film, television and contemporary novels. An editorial board composed of academics who are “revered in the field,” according to Dr. DeLong, make recommendations; Drs. Herr and DeLong then make the final decisions about selections for publication. Each year, a few months before the journal goes to print, the co-editors select a student to serve as copy editor and carry out the proofreading. “We also format and distribute the journal ourselves,” said Dr. DeLong. She hopes to eventually involve students in this process, perhaps through an internship opportunity. Dr. Herr takes care of printing, distribution and international mailing. Beginning this year, the Kutztown University Foundation will serve as the host non-profit-organization for the Journal of Dracula Studies. Manuscripts for the 2016 issue are being accepted until May 1. Scholarly, 4000-6000-word articles should be sent to journalofdraculastudies@kutztown.edu and must follow the 2009 updated MLA style. Visit the Journal of Dracula Studies here.